The Persians serve an almost unique function in the Western narrative. ran has long had a difficult relationship with the West. Ever since the Islamic Revolution of 1979 overthrew the monarchy and established an Islamic Republic, Iran has been associated in the popular consciousness with militant Islam and radical anti-Westernism. ‘Persia’ by contrast has long been a source of fascination in the Western imagination eliciting both awe and contempt that only familiarity can bring. Indeed if ‘Iran’ seems altogether alien to us, ‘Persia’ seems strangely familiar. There are few cultural icons or aspirations that we would associate with Iran; there are by contrast quite a few we would relate to Persia, most obviously carpets, the occasional cat and for the truly affluent, caviar. That these two words would elicit such dramatically different associations is all the more striking because they are describing the same place. Persia is simply the name inherited from the Greeks and the Romans for the great empire to the East that its inhabitants came to know as ‘Iran’. Persia, from the province of Pars, was not unknown to the Iranians but they would not have used it to apply to the entirety of their state. Yet Persia reminds us that Iran is not as unfamiliar to us as we might imagine. Quite the contrary. 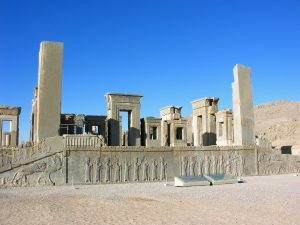 The Persians serve an almost unique function in the Western narrative, being present at the birth and some might argue, the creation of a distinctly Western civilisation. If the Greeks under the influence of Herodotus, first defined history as a conflict between ‘East’ and ‘West’, identified as the Persian and the Greeks, it was a model reinforced with some vigour by the Romans whose own political expediency ensured that many nuances in the relationship were smoothed out to provide a reassuring narrative of confrontation between an increasingly civilised West and barbaricEast. Yet if the Romans held up the Persians as a mirror upon which to reflect their own glories, the mirror was never quite as untarnished as its proponents would have liked to believe: the Persians were never quite the antithesis of the West that some sought to portray. The relationship, as the Greeks might have protested, was a good deal more subtle and a great deal more intimate. This is perhaps best exemplified by the attitude towards the Persian king Cyrus the Great, widely admired in the Greek world as the ideal king whose political wisdom was fictionalised for posterity by Xenophon in his Cyropaedia, or ‘Education of Cyrus’. Cyrus, real or imagined was to have a profound influence on the political elites of the Western world from the renaissance through to the Enlightenment, while his role as a ‘messiah’ in the Old Testament has ensured an enduring affection among Christians, intriguingly among the Protestant variety that populated North America where the name remains popular. Indeed the ancient Persians, for all their antagonism retained nobility that made them attractive to their Western protagonists. 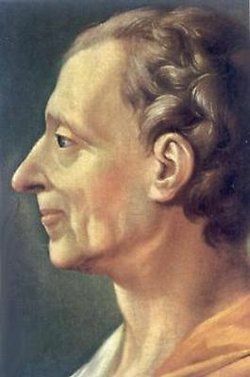 So much so, that when Montesquieu sought ‘discussants’ to critique the condition of Western – in this case French – state and society, he produced his ‘Persian Letters’. 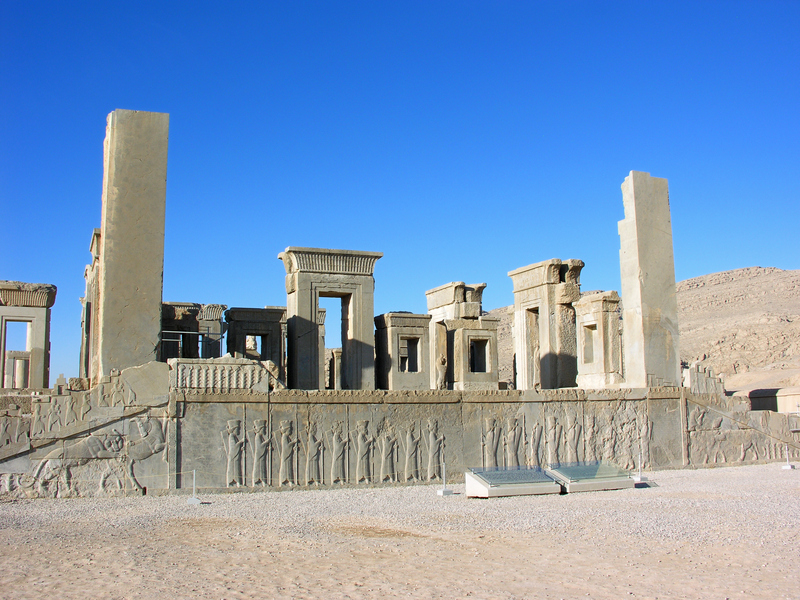 The Persians in the Western imagination were sufficiently ‘civilised’ to perform this role. They were educated and had good ‘manners’; were proficient in poetry to the highest standard and, as Cyrus himself exemplified, were masters of the art of landscape gardening, indicative of man’s power over and connection with nature. Indeed the Old Persian word for walled garden has given us our word for ‘paradise’. It is striking how many Renaissance princes sought to emulate these characteristics and achievements. Yet by the end of the Enlightenment, as Western power grew to surpass that of the Persians, and travellers became reacquainted with the country and its people, old prejudices were redefined for the modern era. The Iranians were not quite like the Persians of their imagination but there was a convenient explanation to hand. The Persians of old were undoubtedly civilised but they had succumbed to decadence and hence decay. They had in sum become excessively civilised and indulgent; exotic yet effete. This explained their predicament and reconciled the apparent contradiction of being both civilised and barbarous at the same time. Gibbon, perhaps like Herodotus before him, had found a means of reconciling contradictory tendencies, not only in defining the Persians but in explaining the Western relationship with them. A relationship that has been far from confrontational and much more symbiotic than some might suspect. Persia represents at once an ideal and the dangers ever-present in the corruption of that ideal. Persia – and by extension Iran – has been part of the grand narrative of the ‘West’ since its inception: it is neither as alien, nor indeed as foreign, as we may like to think. 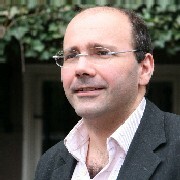 Originally published by OUPblog (Oxford University), republished for educational, non-commercial purposes. This entry was posted in Ancient, History, Persia. Bookmark the permalink.